A personal injury claim is made against an at-fault party or their insurance company and the goal is to have a financial settlement or payout awarded to the victim in order to cover all the expenses they incurred because of the accident. To make a claim, you want to either directly contact the at-fault party, their insurance carrier and/or your insurance carrier and open a claim (typically on a 1-800 claims line.) This will get the ball rolling... However, I'm getting ahead of myself here. There are a few conditions that have to be met in order to file a personal injury claim in California. The most important of these is determining fault (or, in legal terms, liability) for the accident. Typically a victim has to prove that their injuries were caused by the negligence, recklessness, or carelessness of another individual (or legal entity such as a corporation). That negligence (or recklessness) plays a huge part in shifting liability for financial damages to the at fault party. Determining liability will often be the first step in an accident investigation and is critical in order to get the maximum insurance settlement available to you. However, California is a comparative negligence state. That means that the law allows for liability to be assigned in portions (rather than being an all-or-nothing thing). In short, even if the victim's actions contributed to the accident in question, the at fault party could still be assigned a majority of the liability. Therefore be legally required to pay the victim compensation. However, while traffic accidents comprise the overwhelming majority of serious personal injury claims, there are several other types of accident that can result in the need to seek financial compensation for injuries. In short, just about anyone who has been hurt by another person's (or legal entity's) recklessness, negligence, or carelessness can file a personal injury claim for financial compensation. An important factor in considering whether or not to file a personal injury claim in California (and deciding how far to push that claim) is determining exactly what financial damages are covered under the law. Victims are often able to seek compensation for wages they lost because of the accident and their physical recovery period. While this compensation doesn't help victims and their family members at the time, getting that payout at the end of a financial recovery process goes a long way toward settling a broken life back into place. However, keep in mind that victims can also file claims for lost future income as well. For example, if a victim is hit by a car in a car and suffers long-lasting or even life-long injuries that reduce their ability to earn, they can incorporate that financial loss into a personal injury claim. Note that self-employed individuals have a tougher evidentiary hurdle to leap in making a loss of earnings claim, but it certainly can be done. You can even be compensated for "household expenses"--like being unable to do chores while recovering. The definition of personal injury claim automatically excludes property damage. In fact, property damage associated with an accident is not often covered under a personal injury claim. However, most insurance policies do include clauses specifically related to compensation for property damage. A good personal injury attorney will always work property damages into a total accident claim in order to ensure you're completely compensated. At Sally Morin Personal Injury Lawyers, we include assistance with this property damage claim to our clients as a courtesy when representing them for their personal injury claim. Repairing/replacing an automobile, bicycle, or motorcycle. In addition to physical damage victims often get compensated for the mental stress an accident has place on them. These types of damages fall into the category commonly referred to as "pain and suffering." These damages are harder to define and often require extensive proof from mental health professionals that a victim is indeed suffering to the extent they claim they are. Making such a special claim may require you to "open the floodgates" to any and all of your mental health history. A qualified personal injury lawyer will be able to best advise you on whether or not making such a claim is the best course of action for your case. However, even without making a "special" emotional or mental suffering claim, insurance payouts and settlements often incorporate a financial figure based on the "garden variety" emotional pain victims and their family members suffer. If you want to learn more on how much your personal injury claim may be worth, check out this video. Regardless of whichr personal injury claim definition you find helpful, under California law anyone can file a personal injury claim against an at fault party or insurance company. However, there are time limitations associated with such claims. It's important that you file within the given timeframe else your claim may be denied. In addition, if you plan on filing a lawsuit associated with your accident, California law only allows you 2 years from the time of the crash in which to do so. BE CAREFUL, because there are also SHORTER time-limits if your personal injury claim involves a governmental entity like a public employee, school district, or city organization. That's why it's so important to get the ball rolling on your claim within minutes of your crash if you can. In cat, if you don't know what to do immediately after a car accident, you could be putting your future insurance claim in jeopardy. Most demand letters are at least 4 pages long and some (like the very powerful and comprehensive demand letters we put together at Sally Morin Personal Injury Lawyers) stretch to 20 pages or more depending on the specifics of your accident, your injuries, and your claim. And always include a disclaimer—"FOR SETTLEMENT PURPOSES ONLY." This will help prevent a lawyer introducing this demand letter as evidence against you should your claim go to court. Now you have a solid personal injury claim definition, know what's involved in the claims process, and who can file such a claim. However, you're still in the very beginning of your financial recovery process. Following the actual claim, you'll likely pass through at least one round of negotiations with the insurance company and may even be forced to take your case to court if they refuse to pay what your injuries are really worth. Still, having a solid starting point and a clear personal injury claim definition will definitely help you get the financial compensation you deserve after being injured in a traffic accident in California. 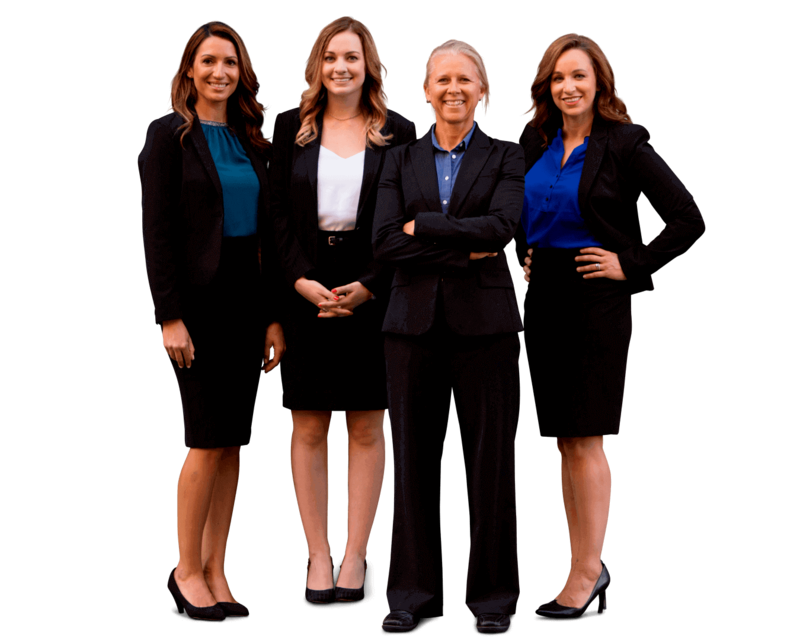 If you want to run your case by our team of compassionate and TOP-RATED personal injury attorneys, click here for a FREE online case evaluation.